Uppersia Iran Travel blog: Are you ready for an adventure in Mesr Desert of Iran? Are you ready for an adventure in Mesr Desert of Iran? For nature lovers and travelers who seek adventure in Iran, autumn is the best season for exploring the magical deserts of central Iran. Besides all the historical and cultural masterpieces inside the city of Isfahan, there are some deserts and desert villages in Isfahan province, which give travelers various choices for a fun desert tour. You can choose between the deserts around Isfahan, like Varzaneh, Garmeh, Mesr, and etc. and offer yourself a wonderful desert adventure. 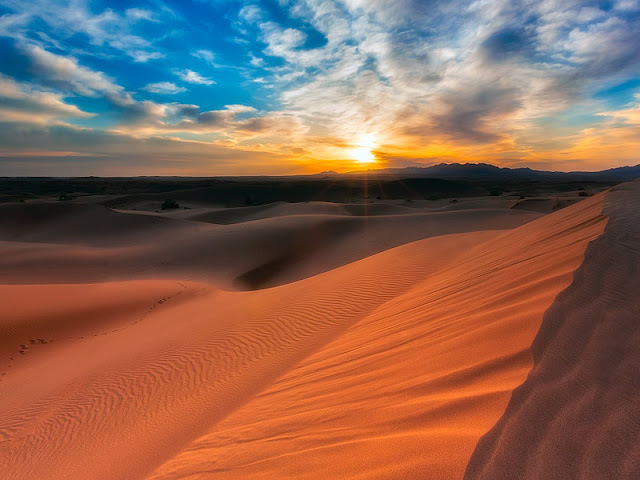 As far as desert tourism goes, Mesr Desert located 430 kilometers away from Isfahan, offers every amazing thing that any traveler might expect from desert lands: Smoothly and moving golden sand dunes, golden sunshine, glass clear sky and maybe some camels strutting in the horizon! 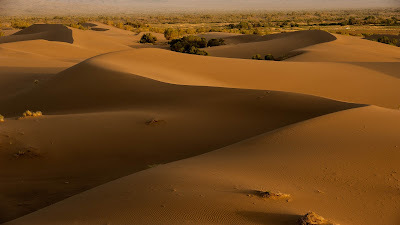 It also offers enthusiastic desert activities like camel back riding, trekking, safaris, sand boarding and stargazing. With cozy and lovely desert accommodations and clean weather and peaceful silent atmosphere Mesr Desert has turned to a hangout for photographers, professional astronomers and the nocturnal persons who look for adventure in the dense darkness of desert. Don’t forget to visit the palm groves of Farahzad village and the mysterious reed bed while you are in Mesr Desert.